Despite the small range and the lack of infrastructure, more and more western companies are interested in the new types of vehicle drivetrains. 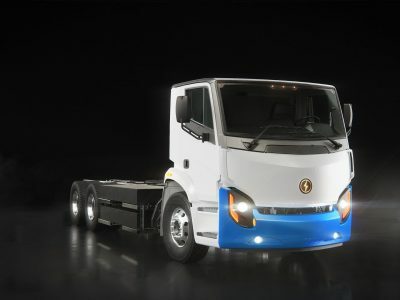 Is investing in the new technology of trucks and commercial vans really profitable? The French Environment and Energy Management Agency (ADEME) has recently published a report on the basis of the studies on the profitability of the new technological solutions in transport. The report shows the analysis of the new trends in the field of electrification which are either already available in the market or at the stage of development. It turned out that by 2030 electric vehicles would have been able to compete in many respects with those with diesel engines. With a single exception… the trucks with the biggest GVM from 12 to 40 tonnes. 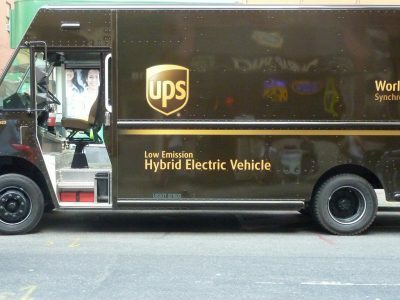 The authors of the report have divided vehicles into several categories, including cars, commercial vans, buses and trucks with GVM from 12 to 40 t. In each category, they analysed different drivetrains from diesel engines to fully electric vehicles, including hybrids and plug-in hybrid electric vehicles. The studies covered the technologies which are available in the market for a given category of vehicles. – assessing the potential effects they may cause. Due to air resistance vans consume much more energy when they increase their speed. Therefore, switching to electric vehicles may be difficult. Very high consumption of energy on the motorway (over 60 kWh / 100 km) of the vehicles with only an electric drivetrain decreases their range and capacity (about 300 kg), which will certainly not encourage companies to invest in the fleet electrification. In the case of light commercial vehicles making annually 16,200 km, hybrids are a more economical solution in comparison with diesel engines. The total cost of ownership of a van with a mild electric drive (MHEV), consisting of a diesel engine and a small electric unit, is currently lower than diesel by 0.8 eurocents per km. In 2030, plug-in hybrid electric vehicles (PHEV) will be useful for entrepreneurs who want to deliver their products to city centres which will be closed for vehicles with diesel engines. PHEVs have both a diesel engine and bigger batteries which can be charged from external sources and allow the vehicle to make a distance from 30 to 50 km without the necessity to turn on the diesel engine. The expected technological progress will increase this range in the future and lower the costs of the production of batteries. In this segment, the development of electrification will depend to some extent on the trend followed by the constructors of the drivetrains for city buses, which require similar technologies. Currently, the total cost of ownership of hybrids and electric vehicles is higher than the cost of diesel-engine vehicles by a few eurocents. Any savings may be expected only in a long-term perspective. Therefore, the producers of heavy vehicles (e.g. Volvo) have resigned from offering electric engines. Only in 2030, parallel and series hybrids (HEV) and battery electric vehicles (BEV) will offer savings of 20 to 30 percent compared to diesel engines. In this category diesel-engine vehicles are also likely to be banned from city centres in big metropolises, hence the efforts to expand the electric functions. Electric vehicles will have a significant advantage in respect of the reduction of greenhouse gas emissions, with their emissions which are two times lower than series hybrids and three times lower than conventional diesel-engine vehicles. However, their total cost of ownership will be higher than the cost of the other two types. In the segment of “40 tonnes”, only diesel engines were considered. 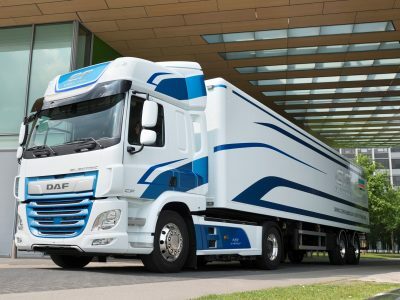 According to the authors of the report, the electrification of trucks will be possible when the profits decrease costs of ownership enough to make such vehicles competitive with diesel engines. Even in the long run, this scenario is not possible for the heaviest trucks. 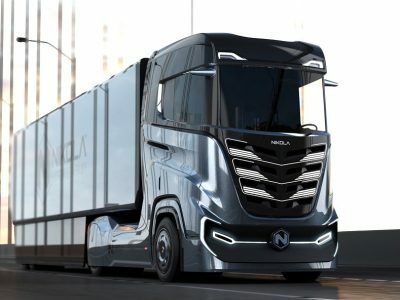 So, the long-distance transport will be dominated by diesel engines with the possibility to develop the technologies using alternative fuel, such as natural gas. Although the prices of fuel will go up, the authors of the report predict that by 2030 the total cost of ownership of trucks with diesel engine can drop even by 30 percent. It will be owed to technological progress, e.g. lowering the vehicle mass by 15 percent, friction in tyres by 20 percent and air resistance by 30 percent. By 2030, when it comes to annual millage of 62 500 km, the total cost of ownership should drop by more than 2 eurocents per km.